Thanks to a RTL-SDR.COM reader for submitting a tip about radiosondy.info, a weather balloon data aggregation website made by SQ6KXY. Weather balloons carry a sensor and transmitter payload called a radiosonde. These radiosondes transmit their data to a ground station via an RF signal, which is typically at around 400 - 406 MHz in most countries. With an RTL-SDR and decoder software (related tutorial) it is possible to receive and decode their weather data, and also often their GPS location data. The location data can be used to find and collect radiosondes once they reach the ground. SQ6KXY has created a website called radiosondy.info which aims to aggregate and make weather balloon data received by contributors public. It is similar to sites like flightradar24 which aggregate ADS-B data from aircraft. The main page allows you to view radiosondes that are currently flying, and the archive of previous flights. 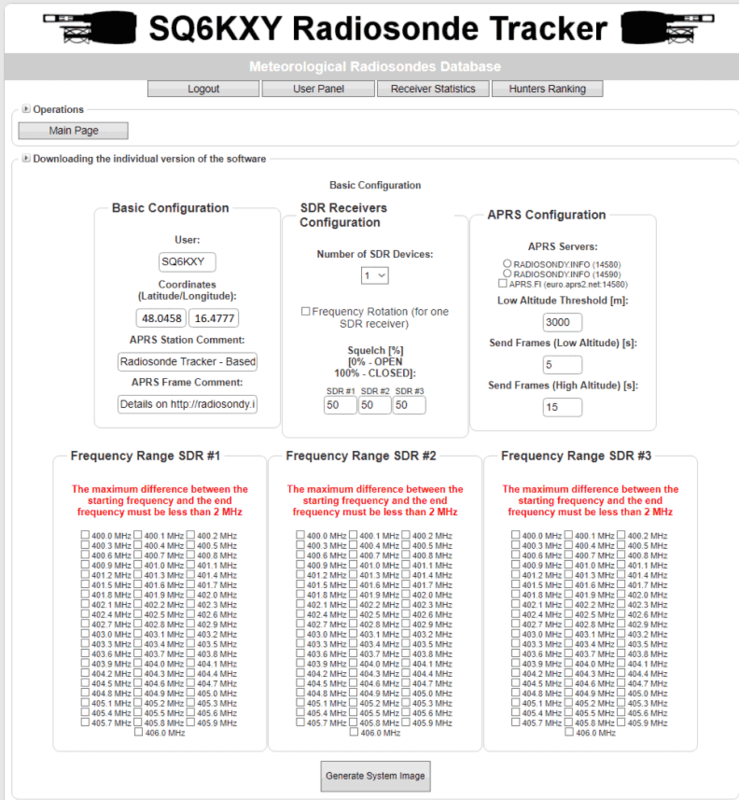 To make contributing to the site as simple as possible, SQ6KXY has created a custom image for the Raspberry Pi, which is automatically generated by the website for your particular user account, local radiosonde frequency requirements, and number of SDRs. They don't specifically mention it, but we assume that contributors are mostly using RTL-SDRs in their receivers. The custom image is available for generation after signing up. Wired.com has recently run a short article about Roland F5ZV's hobby of radiosonde hunting. A radiosonde is a small box containing electronic sensors that measure things like wind, temperature, humidity and also give out a GPS location. The radiosonde is carried into the upper atmosphere by a weather balloon, and these probes are usually launched twice a day in many locations around the world by meteorological agencies. The data is useful for weather forecasting and research. The wired article discusses the hobby of radiosonde hunting, which is the sport of using radios to hunt and collect the radiosonde as it bursts and falls back to earth. 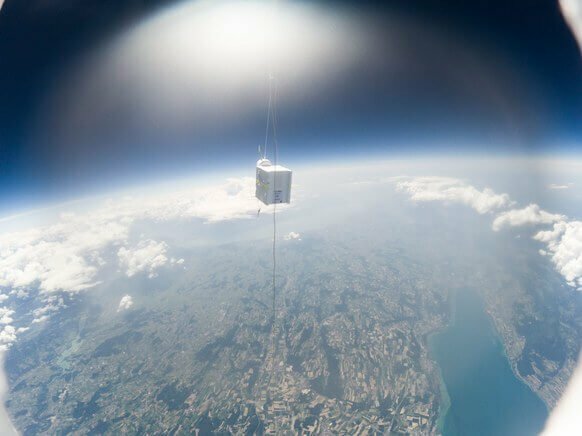 He also writes how he was able to convince the Swiss Meteorological agency to allow him to attach a GoPro to a radiosonde which allowed him to capture some interesting images. We'd like to remind readers that in many places in the world it is possible to receive and decode radiosonde data with an RTL-SDR, and we have a tutorial available here. Radiosonde in flight captured by a GoPro camera. Over on his blog Daniel Estevez has created a post showing how an RTL-SDR can be used to receive, plot and forward RS41-SGP radiosonde data to the APRS-IS network. Radiosondes are the small payloads used on weather balloons. They transmit weather and positional telemetry data back to a base station at the meteorological agency. But depending on the frequency used in your country it can be fairly easy to receive this data yourself with an RTL-SDR dongle and some decoding software. 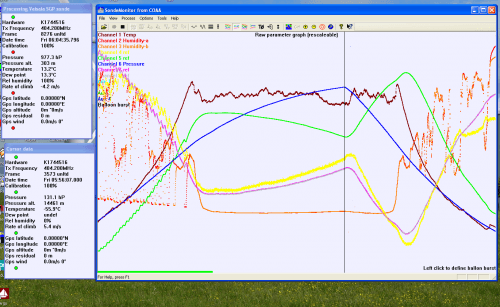 We have an introductory tutorial for radiosonde decoding available here. In his area of Barajas, Spain the meteorological agency recently switched to the newer RS41-SGP radiosondes. To decode these Daniel uses the open source "RS" software which is capable of decoding various radiosondes including RS41. He notes that for now it is better to use his fork of "RS" as the base version contains a bug. He also shows how the received data can be plotted in Viking, which is a program used for plotting things like GPS tracks on a map. Finally he shows how to feed the radiosonde data to the APRS-IS network. APRS is a packet radio system used by hams which works via radio and the internet, allowing for worldwide communication by radio. Feeding the data into APRS-IS allows anyone to see the flightpath on a site like aprs.fi. Over on his blog, nerdsville has posted about his experiences with decoding Radiosondes, a.k.a Meteorological Weather Balloons using his Funcube Dongle, which is an SDR with similar capabilities to the RTL-SDR. 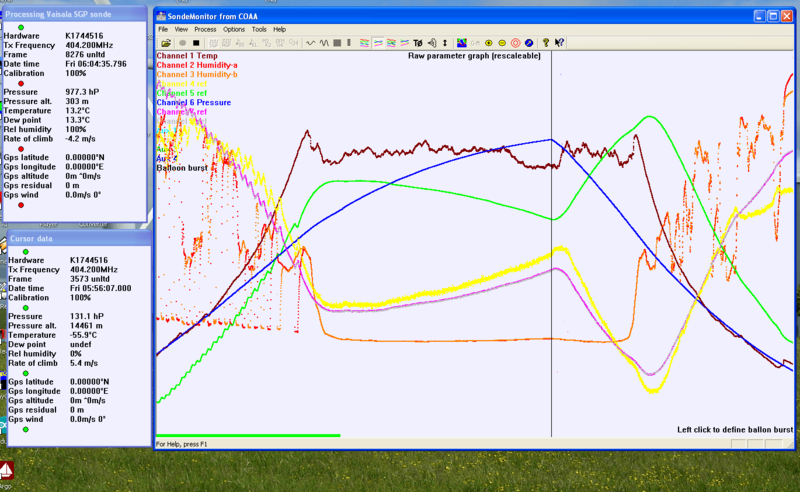 Using a program called SondeMonitor he was able to produce graphs balloon sensor data such as temperature, pressure, humidity and altitude. If you are interested in decoding this type of thing we also have a tutorial on this topic available on our site.